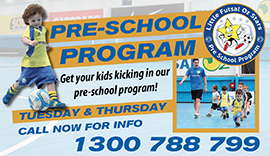 Series Futsal Australia is regarded as Australia’s premier club futsal tournament in Australia. The history and a wealth of information on Series Futsal Australia can be found on this page. The tournaments would not be possible without the support of each partner state all over Australia. See below for contact details for each of the state’s governing bodies and their respective leagues.